Priyanka Chopra who is busy promoting her Hollywood debut film 'Baywatch' revealed how embarrassing it was to use abusive words while delivering the dialogues on-screen. To a popular daily, Priyanka Chopra said she was always conscious about abusing on-screen. It was on the sets of 'Kaminey', Priyanka Chopra was first asked to abuse her co-star on-screen. Priyanka said she was aware it is going to be tough when she signed the Hollywood film 'Baywatch.' She stated that the film is an R-rated film and she plays the badass character, and it was mandatory for her to use F-bombs often on-screen. Priyanka in the interview also said that the film is high on action sequence and will be a well-packed thriller but requested the audiences not to take their kids. 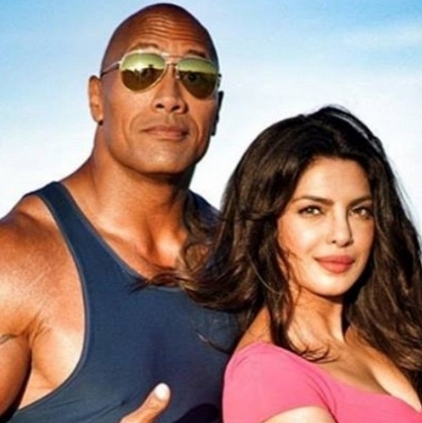 Baywatch is already released in the US and the critics are all praise for Priyanka Chopra. The film is scheduled for a June 2nd release in India. Awesome: Baahubali franchise gets Facebook stickers! Murugadoss to make a special launch at 6 pm today! Alphonse reveals the core plot of his third directorial! People looking for online information on Baywatch, Priyanka Chopra will find this news story useful.